Culture: A barrier to partnership working? 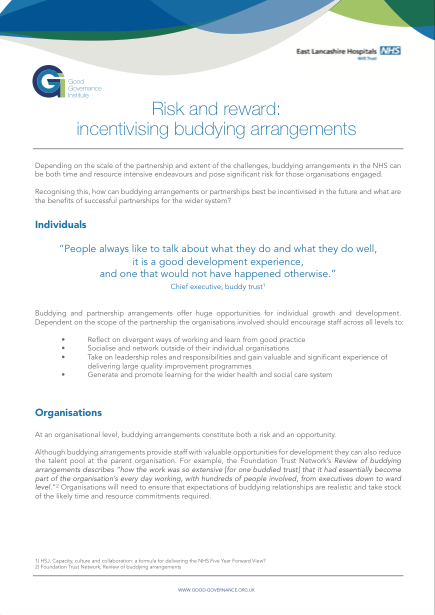 Depending on the scale of the partnership and extent of the challenges, buddying arrangements in the NHS can be both time and resource intensive endeavours and pose a significant risk for those organisations engaged. Recognising this, how can buddying arrangements or partnerships best be incentivised in the future and what are the benefits of successful partnerships for the wider system?